Upgrade the WooCommerce PayPal Gateway options available to your buyers for FREE! Our WooCommerce PayPal plugin will make it quick and easy to add PayPal Express checkout and Credit Card payments to a WooCommerce store. Also, it’s FREE! Millions of shoppers pay with PayPal. If you already accept credit cards online, you can add PayPal as an option by adding our Express Checkout button. Studies show this will boost sales by an average of 23% on your website! With WooCommerce PayPal Express Checkout on your site, buyers will speed through checkout using the shipping information and funding source already stored in their PayPal account. Users will not have to type any information. This will save time and reduce shopping cart abandonment! Once the transaction approves, the money will be available in your PayPal account within seconds. Express Checkout gives customers another way to pay, and it complements existing payments solutions. Smart Payment Buttons provide seamless integration with PayPal including PayPal wallet, Venmo, and PayPal Credit options. You only pay a low transaction fee and a fixed percentage on each sale when you receive a payment. There are no setup costs or monthly fees. Buyers shopping from smartphones are automatically sent to a mobile version of your website for a fast and easy checkout experience. Open the door to over 250 million active users who look for the PayPal way to pay. PayPal Marketing Solutions – Offer promotional deals like 6 months no interest financing to buyers. Get valuable insights about your shoppers to increase conversion rates and average order amounts on your site! Braintree Payments is a powerful payment platform that PayPal previously acquired. It provides credit card processing using interchange-plus accounts. Above all, this can offer flexibility in fees and pricing of products. The Braintree Drop-In User Interface that gets embedded into your WooCommerce checkout page provides a variety of payment options to your buyers. PayPal Payments Pro gives you everything you need to securely accept credit cards and debit cards on your website. It offers a secure payment experience with complete customization ability over your customers’ checkout process; and an Internet merchant account from PayPal. Therefore, Payments Pro is ideal for businesses that want complete control over the checkout experience. Our plugin makes it work with WooCommerce and customers can pay by credit card without ever leaving your website. PayPal Payments Pro requires credit approval (2-3 business days). Get a FREE PayPal Pro Account! By using our PayPal for WooCommerce plugin we can possibly get you special deals on the upgrade to PayPal Payments Pro. There are limits based on your monthly volume. You will need to be doing at least $1,000/mo in sales in order to get special deals. If you are not yet at this level, adding PayPal Checkout with our plugin will increase conversion rates on your site and help you get to that benefit level. For this potential benefit to be available for you, you will need to a PayPal account based in the U.S. or Canada. Our PayPal Plus for WooCommerce feature has been moved into its own plugin separate from this one. 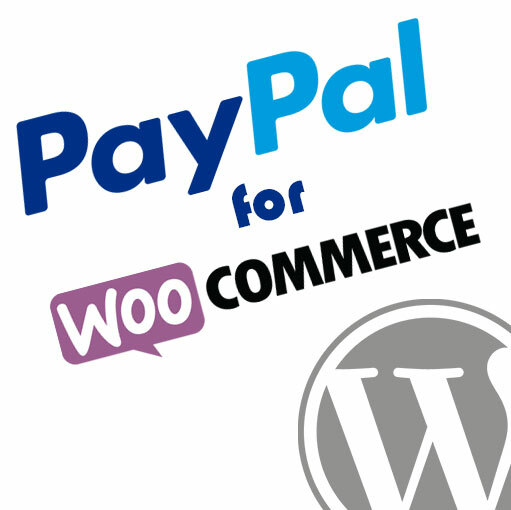 Click here for details about the new PayPal Plus for WooCommerce plugin. PayPal PLUS is a solution where PayPal offers PayPal, Credit Card, and ELV as individual payment options on the payment selection page. A PayPal hosted i-Frame embedded in the WooCommerce checkout page provides the available payment methods. PayPal Plus is available for PayPal merchants in Germany, Brazil, and Mexico. Payments Advanced is a cheaper alternative to Payments Pro which ties PayPal and credit card payments into an i-frame on your website’s checkout page. As such, this eliminates the need to worry about PCI compliance and is roughly half the price of PayPal Payments Pro. NOTE: Payments Advanced is no longer being approved for new merchants. However, if you already have it active on your account our plugin will still support it. PayPal’s new REST API adds the ability to process credit cards on the site without the need for PayPal Payments Pro. This means no more monthly fees for processing credit cards directly! This is essentially the exact same thing that Stripe offers with their credit card processing features. A REST-full API that gets you taking payments very quickly with no monthly fees. Why Use PayPal for WooCommerce? We at AngellEYE are PayPal specialists. We have developed a very close relationship with PayPal over the years. Rest assured that when you’re working with AngellEYE PayPal plugins your payments will work as expected. In addition, everything between WooCommerce orders and PayPal’s transaction details will be seamless. Therefore, you will not find yourself confused when looking at orders in one place or the other because the same data is available in each location. Our developers have built and tested this plugin thoroughly in the PayPal sandbox. Firstly, we have ensured that all necessary data passes to PayPal with clean and accurate details. In additional, we verify that all data passes to correct fields that PayPal provides. Therefore, all order details will show up in PayPal as expected, and all data about orders will match. This is true whether you’re looking at PayPal transaction details or WooCommerce order details. The following outline describes just a few things that we found wrong with other plugins that we’ve done correctly with ours. Many (in fact, all) of the other PayPal extensions I’ve seen have some serious issues regarding error handling. One example is with Payments Pro, where you can have Fraud Filters configured in your PayPal account. Orders could raise a flag and trigger a filter, however, the payment still completes successfully and the buyer should see the order complete page. In many cases, these end up getting treated as failures, the buyer is shown an error, and could potentially end up processing multiple payments if they continue re-trying. This sort of crucial error handling problem will not happen with our plugin! All cart item details pass fully to PayPal and show up correctly in PayPal’s transaction details. All items will always pass. You will not find truncated item names in the PayPal transaction details. The WooCommerce SKU is correctly passed to PayPal as the Item Number. All attributes will append to the item name with our plugin so that they can be easily seen in the PayPal tranaction details. You will not find item attributes being passed in random fields like other plugins. With our plugin, all cart totals calculate accurately and are sent correctly over to PayPal. You will not find any “rounding issue” items popping up on your orders when using our plugins. Subtotal, shipping, handling, taxes, and grand total amounts calculate and pass to PayPal accurately and in their correct parameters. We’ve ensured that all discount codes applied to an order are correctly passed over to PayPal. This allows you to see each individual code that a customer uses, its amount, and its actual code value. If shipping is available on the WooCommerce cart page, this will be passed to PayPal for review during checkout. If the address changes during review, the shipping and tax will be re-calculated. The PayPal request includes the shipping address, so that it will show up in the PayPal transaction details page accurately. All data passed to PayPal is correctly URL encoded and formatted per specified standards. You will not have problems where you see a bunch of special characters included with your transaction data. PFW-249 – Feature – Adds ability to set values for submit buttons on Checkout and Order Review pages. 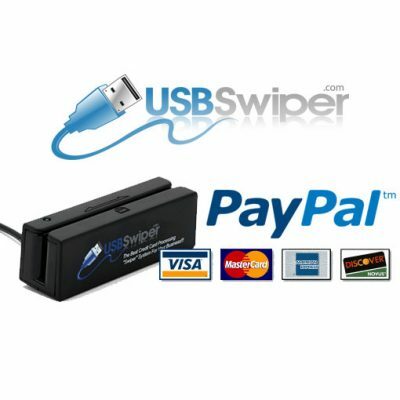 PFW-262 – Tweak – Adds PayPal Credit option to buyers/sellers in the UK (Previously only available in US). PFW-267 – Tweak – Updates languages files. PFW-256 – Fix – Resolves a PHP error related to order emails. PFW-264 – Fix – Better error handling for scenarios where Woo Subscriptions is being used with Express Checkout, but the PayPal account does not have Billing Agreements enabled. PFW-252 – Feature – Adds SOFTDESCRIPTOR to direct credit card processing requests. PFW-31 – Tweak – Updates credit card icons for direct CC processing gateways to a more modern style. 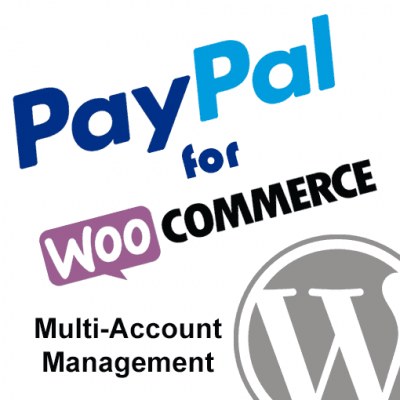 PFW-234 – Tweak – Adds required hooks for our PayPal for WooCommerce Multi-Account extension. PFW-186 – Fix – Resolves a problem where the detailed vs. generic error display option was not functioning as expected. PFW-104 – Feature – Adds Authorization and Capture functionality to Braintree. PFW-213PFW-229 – Feature – Upgrades Braintree Direct Credit Card form to use secure hosted payments fields. PFW-155 – Tweak – Adjustment so the email address used on WC checkout page gets carried through when Express Checkout is used. PFW-170 – Tweak – Adjustment to PayPal Advanced response handling. PFW-191 – Tweak – Adjusts CSS related to admin notice. PFW-197 – Tweak – Adjustment to Braintree token payments experience. PFW-203 – Tweak – Adjustment to refunds so it pulls current open amount instead of original order amount by default. PFW-218 – Tweak – Adjusts Amex logic in PayPal Pro so it will accept CAD currency when used in CA country. PFW-188 – Fix – Resolves a problem with Sale transactions failing when using token payments. PFW-206 – Fix – Resolves a problem with the Proceed to Checkout button localization/translation. PFW-216 – Fix – Adds localization to confirmation message that was missing it. PFW-221 – Fix – Resolves some PHP notices that get displayed when the plugin is activated with debug mode enabled. PFW-222 – Fix – Adds Invoice ID to DoCapture requests per new PayPal requirements. PFW-223PFW-231 – Fix – Resolves a duplicate error message sometimes displayed on Braintree payment failures. PFW-232 – Fix – Resolves a problem where Braintree would not always work from the Woo checkout order page. PFW-240 – Fix – Resolves a conflict with our PayPal WP Button Manager plugin. PFW-242 – Fix – Resolves PHP failures when adding payment methods to Braintree token payment experience. PFW-167 – Tweak – Adjustments to Braintree data validation. PFW-189 – Feature – WooCommerce One Click Upsell Compatibility. PFW-180 – Tweak – Adjusts optional/required fields on Express Checkout review page. PFW-190 – Tweak – Resolves a CSS conflict in Braintree settings panel. PFW-200 – Tweak – Adjustments to JS related to Braintree data validation. Removal – Removes BETA version of PayPal Plus originally included with this plugin. (#481) Get the New PayPal Plus Plugin! Fix – Resolves issue with PayPal Plus where submit button was not working in some themes. Fix – Removes the sandbox / test mode message that was displaying even when in live mode. Fix – Resolves a broken setting for the cancel URL. Fix – Resolves some PHP warnings that were displayed with PayPal Plus. Fix – Resolves a problem where billing and shipping names are sometimes mixed up on orders. Tweak – Adjusts order notes in the PayPal payment request to avoid “too many character” warnings and correctly handles special characters. Tweak – Adjusts PayPal Plus to use country / language based on WooCommerce store settings. Tweak – Masks sensitive data in API logs. Tweak – Adjusts the PayPal Express and PayPal Credit buttons so they are independent from each other. Fix – Resolves an issue with custom fees included on a cart/order. Tweak – Disables PayPal Plus if your server is not running PHP 5.3+ (which is required for the PayPal REST SDK). Fix – Resolves PayPal Plus payment failures when no shipping address is included on the order. Fix – Hides PayPal Plus API credentials when Plus is not active. Fix – Resolves a number of general bugs. Fix – Resolves issues that stem from the “Default Customer Address” setting when set to “Geolocate (with page caching support)”. Fix – Resolves conflict with currency switcher plugins. Fix – Resolves a bug where shipping info was sometimes not saved with order meta data. Tweak – Moves order notes from general notes section to the meta data field for customer notes. Tweak – Enforces Terms and Conditions on the Express Checkout review page. Tweak – Adds the option to create an account from the Express Checkout review page (even if guest checkout is enabled). Tweak – Pre-populate email address on Express Checkout login screen if entered in the WooCommerce checkout page. Tweak – Adds logic to avoid invalid token erros with Express Checkout. Tweak – Disables PayPal Credit when the base country in WooCommerce is not the U.S.
Rollback – Removes adjustments that were made in an attempt to resolve rare cart total errors with PayPal. Rollback – Removes adjustments to code in an attempt to resolve issues with Currency Switcher plugins. Rollback – Removes adjustments made related to shipping data returned from PayPal and order meta data. Rollback – Removes WooCommerce terms and conditions acceptance from Express Checkout review page. Fix – Removes PHP short tag causing PHP failures on servers that do not have short tags enabled. Fix – Resolves conflict with the password validation when creating a new account during Express Checkout review. Tweak – Populates all available data to new customer record when account is created during Express Checkout review. Tweak – CSS adjustments to the terms and conditions acceptance during Express Checkout review. Fix – WooCommerce 2.4 Compatibility. Fix – Resolves more cart total / calculation errors based on unique order totals. Fix – Resolves a problem where an & character in product names could cause checkout to fail. Fix – “WooCommerce Currency Switcher” plugin compatibility. Fix – Resolves a bug when setting Website Payments Pro 3.0 to Authorization. Fix – Resolves SSL warnings caused by graphics loading from http:// sources. Fix – Resolves a bug in the way discounts were passed in Payments Pro 2.0 orders. Tweak – Moves customer notes into WooCommerce order meta fields. Tweak – Adds a filter for PayPal API credentials for the ability to override the plugin setting values. Tweak – Adjusts logic around “Proceed to Checkout” button for better compatibility across themes. Tweak – Adjusts the way shipping details are saved with PayPal Express Checkout orders. Tweak – Masks API credentials in raw logs. Tweak – Cleans deprecated functions. Fix – Resolves an issue causing some 3rd party plugins to conflict and keep plugin options from loading correctly. Fix – Replaces the use of WPLANG throughout the plugin with get_local() and eliminates PHP notices. Fix – Resolves a problem where Express Checkout orders were not getting saved to a logged in users account. Fix – Resolves a bug in the PayFlow gateway where ITEMAMT was not correct if “Send Item Details” is disabled. Tweak – Sets default values in database for new features that were added in 1.1.6.3. Fix – Resolves PayPal error 10431, item amount invalid, which would happen on rare occasions. Fix – Resolves a conflict with the Bulk Item Discount plugin that resulted in a PayPal order total error. Fix – Resolves other various PayPal order total errors by adjusting shipping/tax price when WooCommerce orders do not calculate correctly. Fix – Adds better error handling if the PayPal API response is empty. Fix – Resolves “Proceed to Checkout” button display problems since the WooCommerce 2.3 update. Fix – Resolves a conflict with the WooCommerce Wishlist plugin. Fix – Resolves an SSL conflict with the credit card images provided for Payments Pro (PayFlow). Fix – Resolves an issue where customer accounts were not getting created successfully with some Express Checkout transactions. Fix – Resolves an issue causing the Express Checkout default button to be displayed on the product page even if a custom button graphic has been set. Tweak – Adjusts the way the Locale Code is sent to PayPal based on WordPress language settings. Tweak – Adjusts functions that have been deprecated in WooCommerce 2.3. 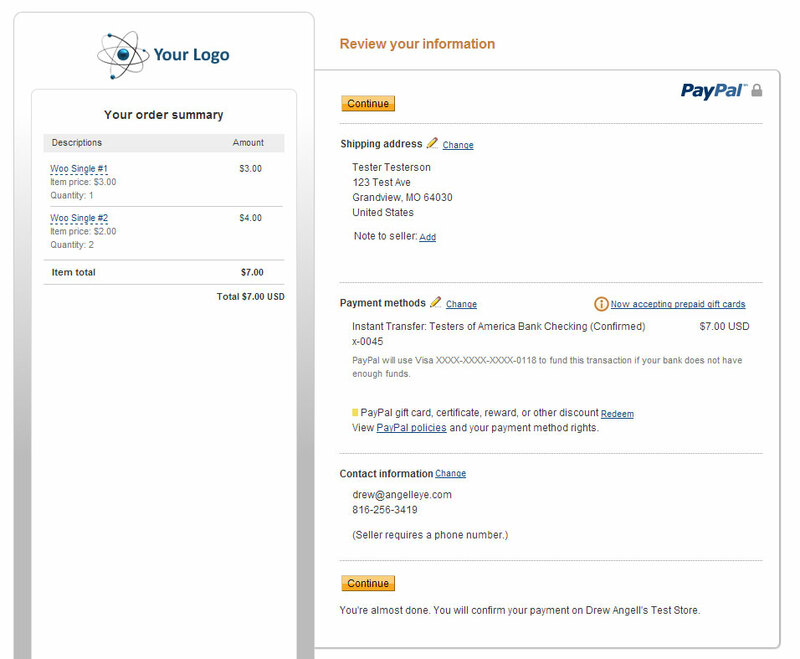 Tweak – Adjusts the width value for the PayPal Express Checkout graphics. 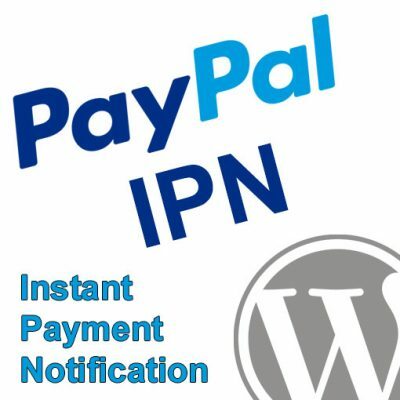 Tweak – Adds order details (if any) to the PayPal error email notification that is sent to the site admin (if enabled). Tweak – jQuery adjustments to Express Checkout review page. Feature – Adds option to enable / disable sending line item details to PayPal. Feature – Adds developer hooks for customizing PayPal error notifications. Feature – Adds an option to display the PayPal Express Checkout button(s) below the cart, above the cart, or both. Feature – Adds an option to set the billing address to the same address as shipping when Express Checkout is used. Feature – Adds the ability to choose which page the user gets sent to if they cancel checkout from the PayPal Express Checkout pages. Feature – Adds an option to set orders to be processed as Sale or Authorization. Fix – Resolves a PHP syntax issue that caused failures on PHP 5.2 or earlier. Fix – Adjusts page element CSS problems with PayPal Express Checkout button on product details page. Fix – Adds WooCommerce country limitation compatibility to PayPal Express Checkout. Fix – Resolves minor PHP notices/warnings displayed in certain scenarios. Fix – Removes a PHP short-tag that was used and causing failures on servers where short tags are not enabled. Fix – Adds adjustments for multi-site compatibility. Fix – Resolves issue with custom image used for PayPal Express Checkout button on product detail pages. Tweak – Resolves an issue where the PayPal Express Checkout button was showing up on product pages even for free items. Tweak – Adjusts logic in Payments Pro (PayFlow) to handle duplicate transactions correctly. Tweak – Minor code adjustments to keep up with changes to the WooCommerce code. Tweak – Adds a progress “spinner” when the PayPal Express Checkout button is pushed so users can see that it was indeed triggered and can’t click it again. Tweak – Adjusts the PayPal Express Checkout review page to include a username field when creating an account due to the WooCommerce “Guest Checkout” option being disabled. Tweak – Adds adjustments to the logic surrounding the display of checkout and/or PayPal buttons on the shopping cart page to reduce theme conflicts. Tweak – Adds WooThemes Points and Rewards extension compatibility. 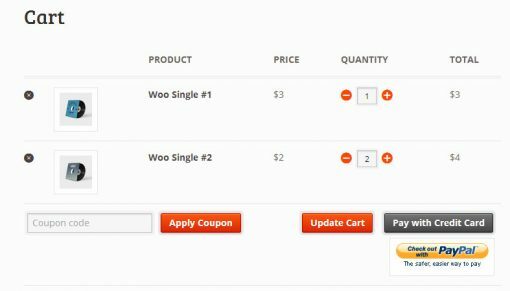 Tweak – Adds PayPal Express Checkout to the WooCommerce cart widget. Tweak – Adjusts order data so that the name of the customer is displayed instead of “Guest” for guest checkouts. Tweak – Adjusts the logic that calculates the MAXAMT in Express Checkout to avoid conflicts with features like gift wrapping where additional cost may be applied. Feature – Adds the option to display PayPal Express Checkout in the general gateway list on the checkout page. Feature – Adds the option to adjust the message displayed next the Express Checkout button at the top of the checkout page. Feature – Adds WooCommerce refund compatibility for PayPal Express Checkout and Payments Pro. Feature – Adds the option to enable/disable the LOCALECODE in PayPal Express Checkout, which can effect the checkout experience. Feature – Adds the option to skip the final review page for PayPal Express Checkout. This can be used on sites where shipping and tax do not need calculated. Feature – Adds WPML compatibility. Feature – Adds JCB credit cards to the PayPal Payments Pro (PayFlow) gateway. Refactor – Adjusts PayPal class names to ensure no conflicts will occur with 3rd party plugins/themes. Tweak – More adjustments to cURL options in the plugin in response to POODLE. This update will eliminate the need to update cURL to any specific version. Tweak – Updates cURL so it uses TLS instead of SSLv3 and resolves vulnerability per PayPal’s requirement. It is very important that you ensure your server is running cURL version 7.36.0 or higher before installing this update! Fix – Re-creates checkout review when unavailable to eliminate Invalid ReturnURL error from PayPal. Fix – Resolves an issue with long field names on some servers causing the Express Checkout settings page to fail when saving. Fix – Resolves an issue where two checkout buttons were sometimes displayed on the cart depending on which payment gateways were currently enabled. Fix – Resolves an issue where Express Checkout buttons were displayed in certain places on the site even when Express Checkout was disabled. Fix – Adjusts CSS on Express Checkout buttons to eliminate potential conflicts with some themes. Fix – Adds namespace to class names on checkout forms to eliminate potential conflicts with some themes. Tweak – Disables “Place Order” button on review order page to eliminate duplicate orders and/or errors during checkout. Tweak – Splits the ship to name returned from PayPal Express Checkout so that it’s correctly entered into WooCommerce first and last name fields. Tweak – Masks API credentials in API log files. Tweak – Adds length validation to Customer Service Phone number option in Express Checkout to eliminate warning codes (11835) from being returned. Tweak – Adds handling of PayPal error 10486 and returns the user to PayPal so they can choose another payment method per PayPal’s documentation. Tweak – Adds the ship to phone number returned from Express Checkout to WooCommerce order details. Feature – Adds the ability to show/hide the Express Checkout button on the cart page. Feature – Adds hooks so that developers can override the template used for the Express Checkout review order page. Feature – Adds AVS and CVV2 response codes to WooCommerce order notes. Feature – Adds Payer Status and Address Status to WooCommerce order notes. Feature – Adds an option to enable/disable an admin email notification when PayPal errors occur. 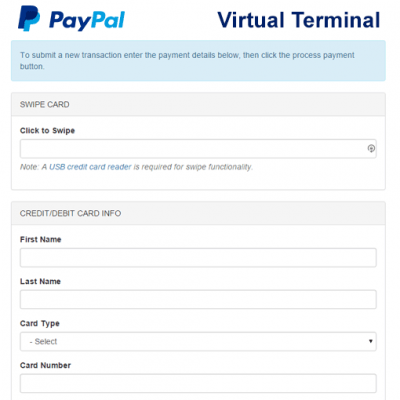 Feature – Adds the ability to include custom banner/logo for PayPal hosted checkout pages. Refactor – Updates function used to obtain currency code so that “currency switcher” plugins will work correctly with PayPal. Fix – Corrects an issue happening with some browsers on the Express Checkout review page. Feature – Adds a notice if you try to activate on an incompatible version of WooCommerce. Fix – Removes PHP warnings/notices from PayPal Express Checkout review page. Fix – Custom fees applied to the Woo cart are now handled correctly in each gateway. Fix – Old logic for which buttons to display (based on active gateways) has been removed and replaced with new logic utilizing the Checkout Button Type option in Express Checkout. 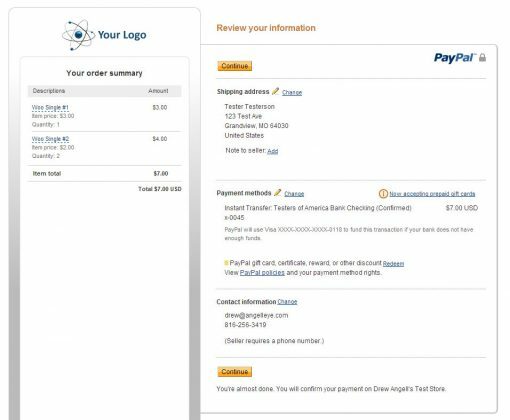 Feature – Express Checkout now has the option to set a Brand Name and a Customer Service Number that will be used on the PayPal review pages. Feature – Express Checkout now has the option to enable a Gift Wrap option for your buyers on the PayPal review pages. Feature – Customer notes left on the PayPal review pages during an Express Checkout order are now saved in the Woo order notes. Fix – PayPal Express Checkout button no longer shows up on the product page for an external product. Fix – If WooCommerce Guest Checkout is disabled, Express Checkout now requires login or account creation. Localization – Ready for translation. Feature – Adds the option to include a Bill Me Later button on cart and checkout pages. Feature – Adds option to display detailed or generic errors to users when payments fail. Feature – Adds ability to set a custom image in place of the default PayPal Express Checkout button. Feature – Adds option to include Express Checkout button on product pages. Tweak – Adds admin notice when both PayPal Standard and Express Checkout are enabled. Tweak – Adds links to obtain API credentials from settings page for easy access. Tweak – Improves CSS styles on Express Checkout and Bill Me Later buttons. Tweak – Improves CSS styles on Payments Pro checkout forms. Tweak – Updates guest checkout options in Express Checkout to work with new API parameters. Refactor – Strips unnecessary code from original WooThemes extension. Refactor – Strips unnecessary additional calls to GetExpressCheckoutDetails to reduce server loads. Refactor – Minor code adjustments and cleanup. Fix – Resolves issue with invalid order number getting sent to PayPal for merchants in some countries. Tweak – Update the checkout button verbiage based on enabled payment gateways. Fix – Eliminate PHP warnings that would surface if error reporting was enabled on the server. Fix – Eliminate conflict with WooCommerce if plugin is enabled while updating WooCommerce. Refactor – Stripped out all the original Woo PayPal integration code and replaced it with the Angelleye PHP Class Library for PayPal. Tweak – Adds better error handling when PayPal API credentials are incorrect. I am SO thrilled with not just this plugin but the support we received as well. This has solved all of our issues with payment processing, created an easy way for people to checkout with paypal and just credit cards. The support was AMAZING! I am so very grateful for the help I received installing this. Highly highly recommend. So you just need a stand-alone button, or you’re wanting it to be related to the WooCommerce cart? Great plugin with just a good support. We’ve tried other PayPal/PayPal Pro plugins, but the one from Angell Eye is by far the best one. Easy to setup and free! The only Paypal plugin i was able to actually get to work. Customer service is fast and extremely helpful. Great plug-in, massive amount of sites that depend on it (so it will be around for a long time), it works like it should and what is probably the most important thing… Angelleye provides exceptional support that went way beyond the call of duty. I’m very impressed with this these people – They are my WordPress Angels!